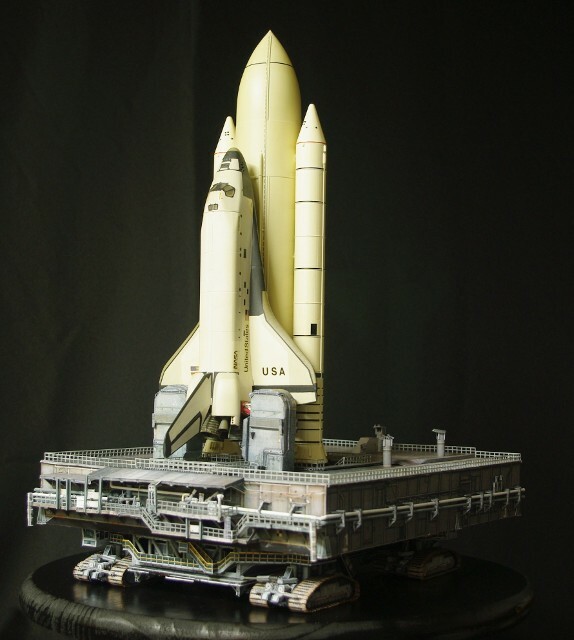 December, 1980 - STS-1 "Roll-Out"
This model combines a number of elements, like a scale model "wedding" - Something old, something new, something borrowed and something blue. The Shuttle vehicle is "something old." It is a 1/144 scale Airfix Space Shuttle model, which I built back in 1981, after returning home from the trip to watch the Launch of STS-1 in April at KSC. I used the photos I took during our tour of the pad on Thursday, April 9, 1981 to do the colors and the details of Columbia and her "stack" as I saw it and remembered it. It has been stored, moved, damaged, repaired and loved throughout, as it reminded me of one of the most moving days in my life. The Edu-Craft Shuttle MLP is "something new." 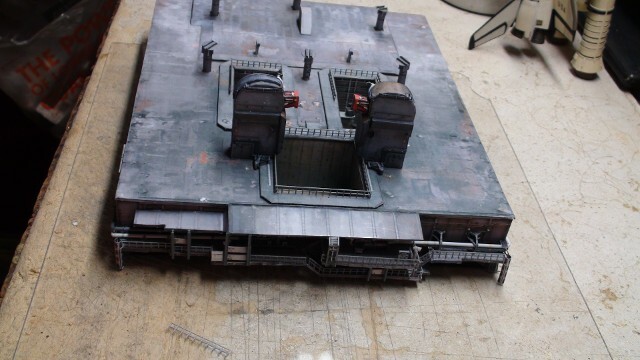 I purchased it from David Maier some time ago, and got involved in so many other projects, that it never got built. The original impetus for getting it was to "replace" my scratch-built MLP on the 1/144 scale Launch Complex model, but I could not bring myself to take the original out. 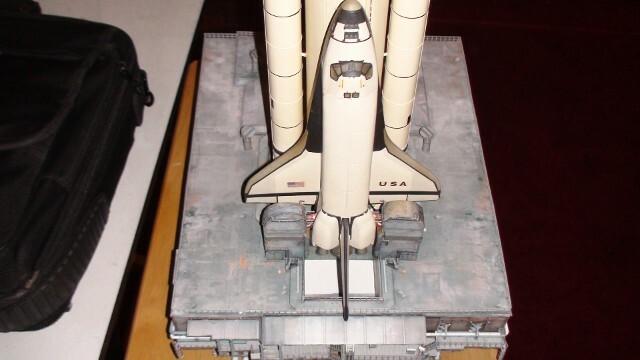 So, it sat, flat and untouched, until I got the idea to use it to support the Airfix STS-1 model. Then work began in earnest. 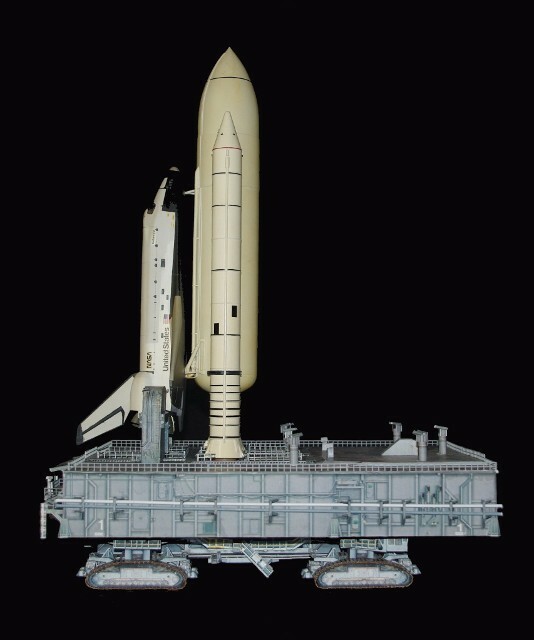 The Side 1 platforms were modified from David's standard model to replicate the look of the MLP for STS-1. The railings were added as they were in place during STS-1's roll-out, as the pictures of the event show so clearly. They were part of repair parts package sent to me by Revell staff as an appeasement for damaging my scratch-built model after they used it for the better part of 1986. 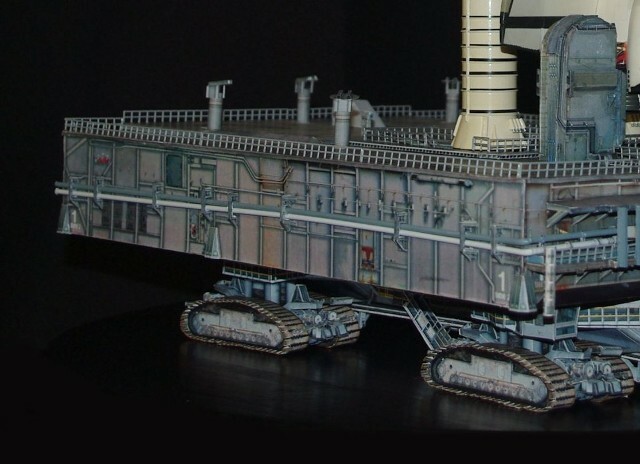 The Edu-Craft Crawler-Transporter is "something borrowed." 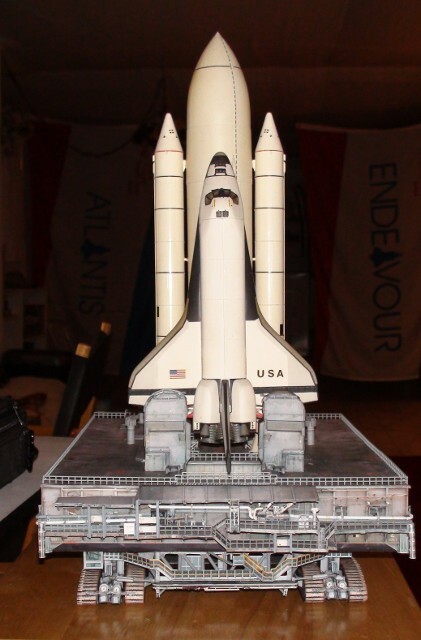 After initial construction, I placed it into the 1/144 Shuttle Launch Complex Model enclosure to show withe the other hand-made elements. 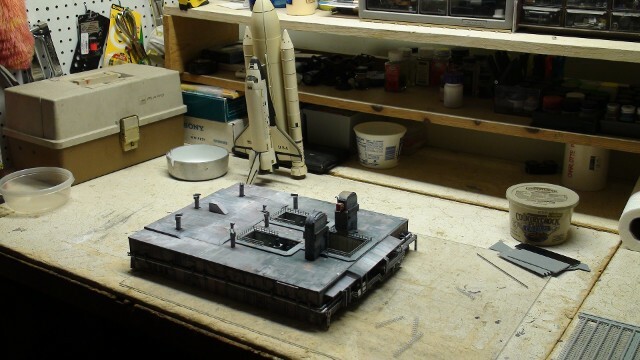 During the construction of the MLP, I thought about how I would display the pad and vehicle, and having it sitting on the Crawler, as it did during that first roll-out in December of 1980, made a lot of sense. 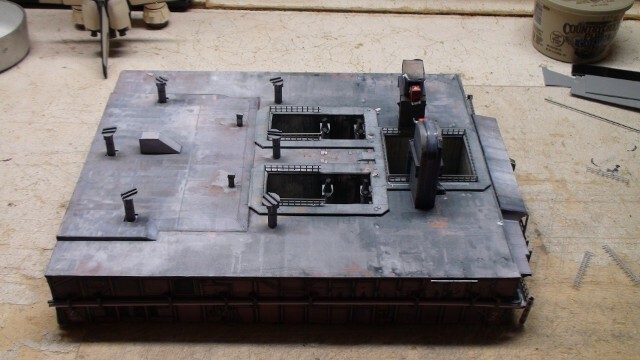 So, the Crawler came "out of the box" and got modified to look more like it did in 1980. It looks very much "in its place" with the stack on its shoulders. The whole project, it "something blue." 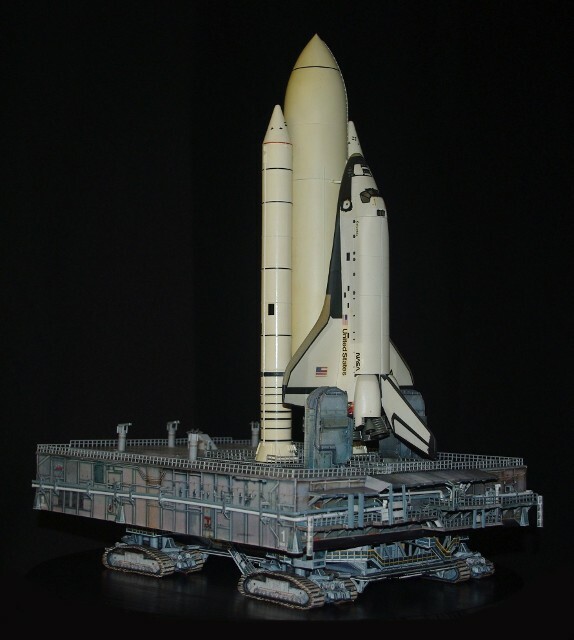 To realize that this is a sight we will never see again made it even more important to place a stack on a Crawler and have the Shuttle roll-out properly depicted. 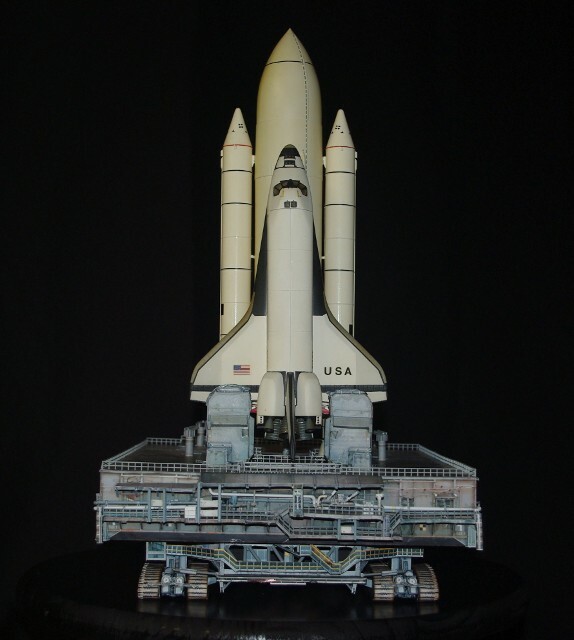 So, as we approach the 12th of April of 2014, and the 33rd anniversary of STS-1, our newest work stands in tribute to the dawning glory of the "new" Space Shuttle Program, as we saw it in December of 1980! Hail, and Godspeed, Columbia and all who sailed her!! Nearing the completion of MLP construction. The railings are installed around the platforms and SSME exhaust port. The railings beginning to be installed around the SRB exhaust openings. The new MLP, and the Airfix STS-1 stack waiting in the wings. A fit-check of the "stack" finds that all of the point lined up first time, with no adjustment. Not to shabby!! A detail note... I was able to find photos of MLP 1, which was the MLP that supported STS-1, and print out "replacement" numbering, now applied to the MLP to correct its identity for this particular assembly.